DUNDEE-The Watkins Glen girls varsity soccer team blanked Dundee, Friday, Sept. 30. The final score was 3-0. 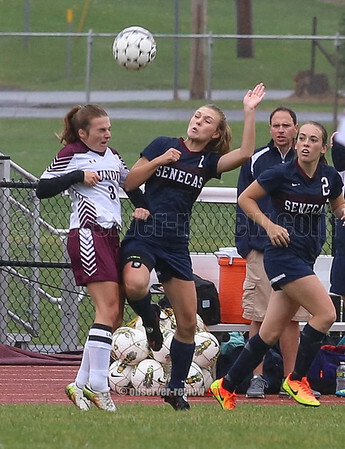 For the Senecas, Isobel Scheffey, Taylor Kelly, and Ryanna LaMoreaux each scored once. The Lady Scots' Goalie Andi Wood earned 14 saves.